From the first conscious years of his life, Alexander was under his elder brother's music influence. He listened rock in all its variety beginning with light pop-rock ending with super hard speed metal. In 1995 evolution of music interests leads Alexander to broken beats music - break-beat. Chemical Brothers, Fatboy Slim, Junky XL, etc rhythms filled up his music space and left a mark on his further interests. Well in 1998 he heard drum-and-bass mix at underground radio "Supernova" for the first time in his life and since then was absolutely carried away by broken beats. In those years from the great variety of drum-and-bass music he mostly liked tracks with MC's muffin, but still something was missing. Thus the search for his own style track by track brings him to ragga-jungle and later to its forefather from Jamaica - dancehall. From that moment his heart started beating in time with the most positive and sunny vibrations on the whole planet. In June 2007 Alexander becomes organizer and one of the participants of first ragga-jungle open-air in Kyiv «Burning Batata @ Kiyv Sea». Later in 2007 he's also an author and a host of Illegal Jungle internet radio-show dedicated to ragga-jungle and dancehall music and the culture itself. 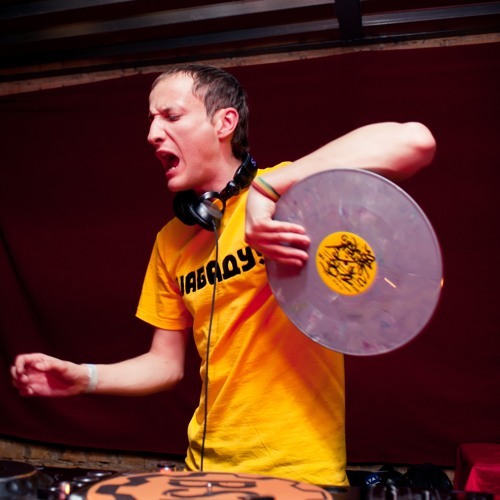 Since December 2007 he's is a part of Illegal Jungle Crew together with Dj Dusty (Badman Selectah, Stuttgart, Germany), HoT (Tula, Russia), Dj D-White (Space Unity, Dp) and Dj E>nergetic (Dp). In 2008 Shk is on of organizers of MURDARAH VIBEZ, series of hot ragga-jungle parties. Also he takes part in well known fests like Konkrete Jungle Ukraine and Tribute To Haile Sellassie. In the fall of same year in collaboration with NaYaLion and Badbwoy he creates a website www.dancehall.com.ua, dedicated to dancehall and reggae music. Alexander's sets is a hot mix of jah-vibrations of dancehall and explosive ragga-jungle rhythms. In this genres he sees his future. In 2007-2010 you could heard him in Kyiv, Dnipropetrovsk, Novomoskovsk, Simferopol, Sevastopol, Belgorod (Russia), Kharkov, Luhansk, Minsk (Belarus), Poltava. He plays from vinyl mostly.